Life 2 Nite - Whats happening tonight? Problem: We always ask friends - Hey whats happening tonight, or does anyone know of a good party on Thursday? Solution: Life2Nite.com a website that lends itself to promotors as well as night life seekers a like. 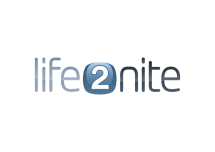 Life2Nite will be an app and a website which allows the user to choose the nights they wish to be notified of party events or restaurant events. The mobile website portion of this will be a simple app which beautifully displays the list of events in either category in a "just in time" fashion. For example: If you only desire to know whats happening on Fridays and Saturdays, this app will only present data for you on those days - via notification around noon on those days for the events which are happening tonight. The goal is to get away from the stale nature of email promotions for evening events or restaurant happenings and provide more usuability than SMS can provide, with some other cool features that an mobile App can offer. Allow user to purchase entrance to event from event list and show QR code for that event.